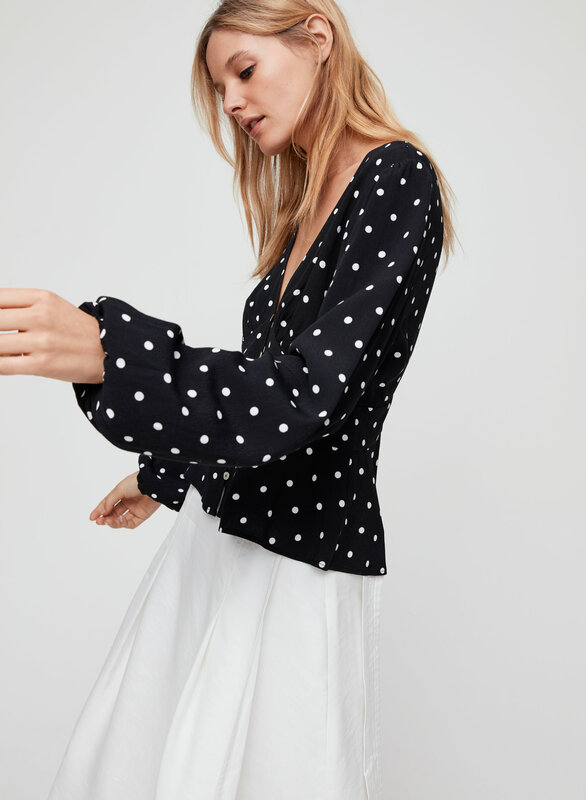 This blouse is gorgeous. It does fit sort of loosely, but it is actually true-to-size. The sleeves are meant to be big, so be aware of that. 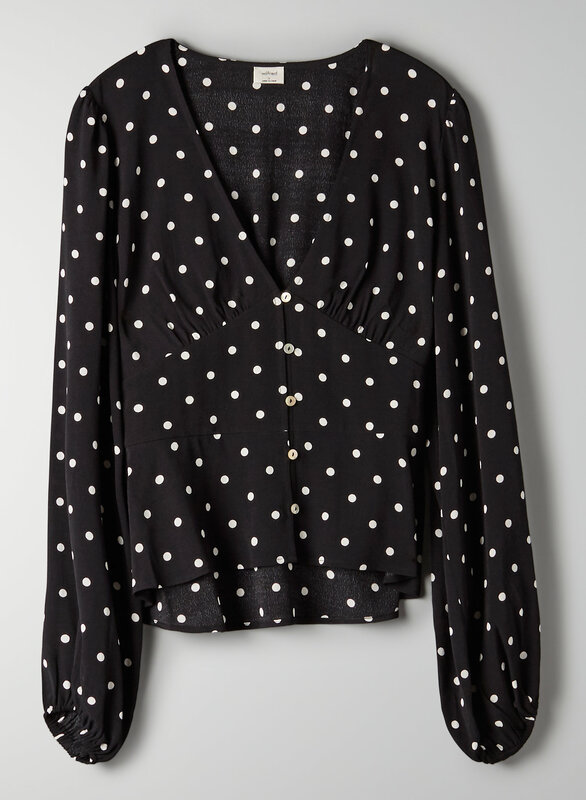 It's a total vintage throwback and the polka dots are super cute. 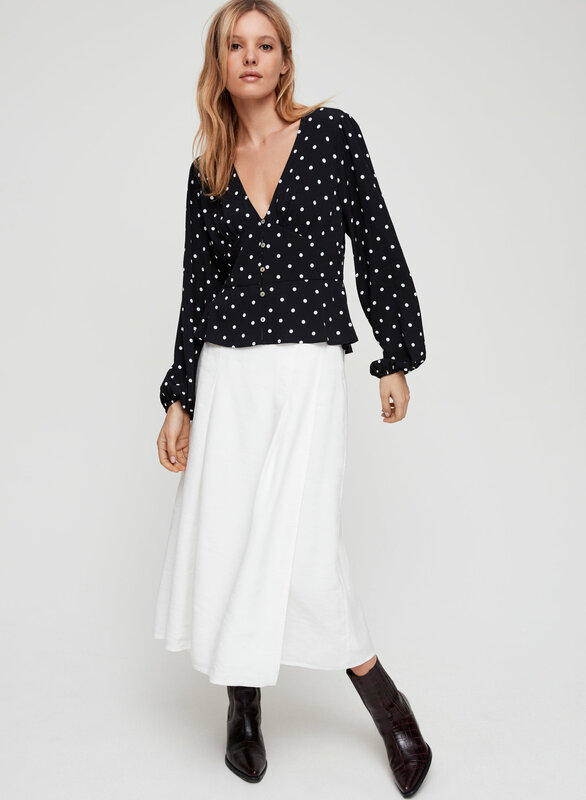 I've received so many compliments wearing this blouse! I definitely would recommend giving it a try. Fits tight around chest and if get a size up will be too big on arms ! The style was so nice but the fit was off ! 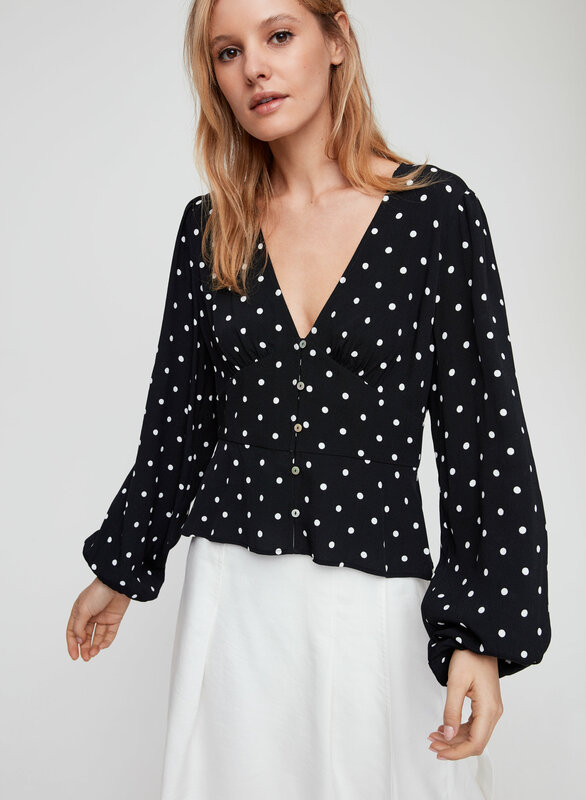 I love polka dots but don't like to dress too girly and this blouse is a happy compromise. I also love how it emphasizes the waist. I originally ordered a small because I like a closer fit but found it was too short on me, hitting at an awkward place. I sized up to a medium and that solved the problem. The material feels soft and good quality and the shell buttons are a nice touch.